What types of help you can expect? who would be helping you ? 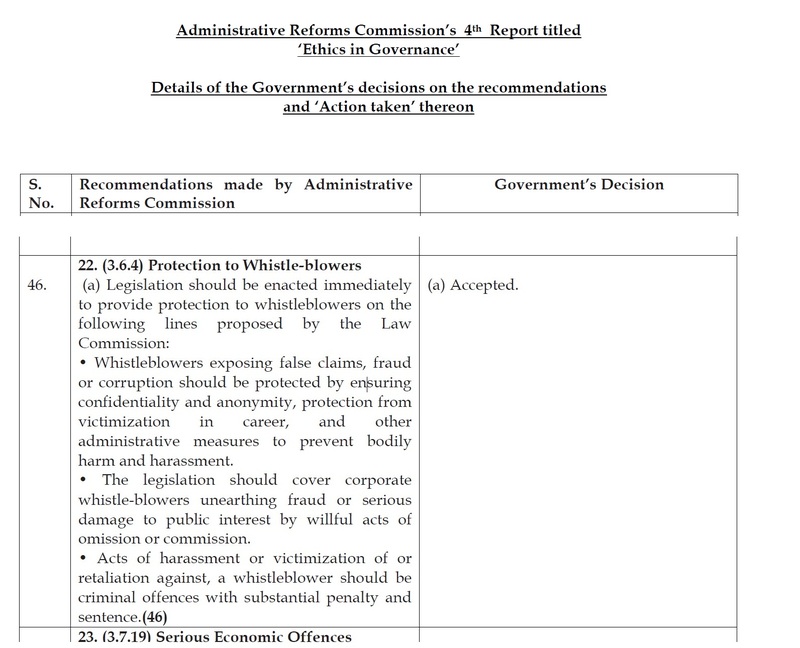 Why Honest People Should Unite To Help Whistleblowers In Their Fight Against Corruption? The above quotations are taken from GOI websites.Each of the above quotation also expects every Government Servant also to act. In fact a proper reading of the AIS Rules makes it an obligatory duty on the part of every AIS Officer to become whistleblower if the situation warrants. Out of 328 complaints received in 2007 by the CVC from whistleblowers 80 were verifiable in nature, while only 727 were verifable out of 11248 complaints received from others show the need to encourage whistleblowing.ie 24.4% against 6.4%. But if proper protection and training is given (UN convention against Corruption if ratified expects to do so) then we can see the benefits to our country as more people would come forward to become whistleblowers . This would have an effect on corruption. What is needed is the coming together of honest people in every walks of life to help Whistleblowers. This is because it may be difficult for every honest officer to become a whistleblower, but it is not at all difficult for honest officers to help whistleblowers.